Regardless of whether you are a first time home buyer or you have been a home owner for a few years already, chances are that you have heard about the recent drop in the stock market. This has resulted in an ideal opportunity being provided for anyone who is in the market to buy their first home or even refinance an existing property. 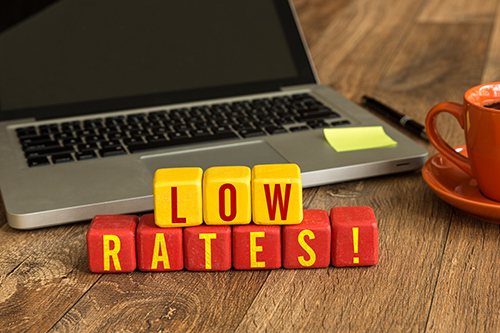 According to The Mortgage Reports website, 20 and 30-year conventional fixed-rate mortgage rates are currently sitting at just under the 4% mark, and purchasing power of home buyers has increased by as much as 10% as a result. To receive the most benefit when refinancing, you will need to ensure that your refinancing costs are not going to be too high. Once you see how much you will be able to save each month, you can consider using that money to put towards other expenses. The lower interest rates will also make it easier for you to get on to the property ladder if you are a first time buyer. If you are already paying off a mortgage and you decide to refinance, chances are that you will be able to lower your monthly payments substantially. This may provide you with the opportunity to change lenders if you are not satisfied with your current lending institution for any reason as well. In some cases, the amount of money you will save each month could be enough to cover another essential bill, or it could be used to repay other debt that you may have. If you have changed jobs and are earning more money, chances are that you will want to repay your mortgage off quicker. However, many lending institutions will not allow you to do so – in fact, some may impose penalties on early repayments. In cases like these, your only option that will enable you to repay your mortgage quicker will be to refinance – preferably with an alternative lender. If you opt for a shorter loan term, you will be able to pay your home off even sooner than if you had just opted to refinance it as well. One of the main benefits of refinancing an existing mortgage is that it will enable you to access the available equity in your home. Provided that your credit score is good, you can get a line of credit that will be based on the value of your home and the amount that you have already paid into your existing mortgage. You will then be able to use this cash lump sum to do pay for college for your kids, do home renovations or even go on your dream vacation – the choice is yours. The sooner you decide to buy your first home or refinance your existing mortgage, the better, as you never know when the rates will increase again. Contact RateWinner today to see how we can help you. This entry was posted in Blog and tagged interest rate, low interest rate by Scott Li. Bookmark the permalink.